Cydney has been the first responder for two incidents that have occurred during the start of 2019, firstly Cydney was instrumental in locating a lost toddler on the beach. Cydney noticed a child lying in an awkward position on the beach and swung into action, checking vital signs and alerting lifeguards on patrol. The child was found unresponsive and dehydrated in a dazed state. In the second incident Cydney was in the water relaxing when she noticed a young swimmer starting to panic in some decent surf, she made her way over to the victim and kept her afloat whilst signalling lifeguards in the tower who responded and performed and IRB rescue. Two separate scenarios on different days with positive results thanks to Cydneys input. 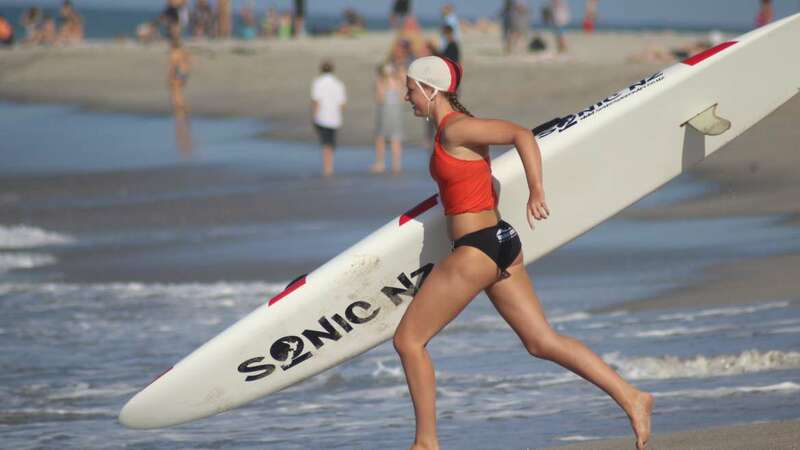 What makes this so special is both these were undertaken while she was Off duty, Cydney was just relaxing at the beach when she saved the lives of these people which just shows how much of an amazing lifeguard Cydney is! She has also been training hard over the winter and summer with a positive attitude and always a smile on her face. All this hard work Cydney has been putting in is reflected in her results in competitions so far this season and also her selection in the open Hawke’s Bay representative team that competed in Gisborne at the end of January. Congratulations Cydney and keep up the outstanding work.